For the second time in two days, it’s time for the RFC MINI SHOW! Because of a minor computer problem, we didn’t have a MINI SHOW last week. To make up for it, we’re bringing you a bonus show now. 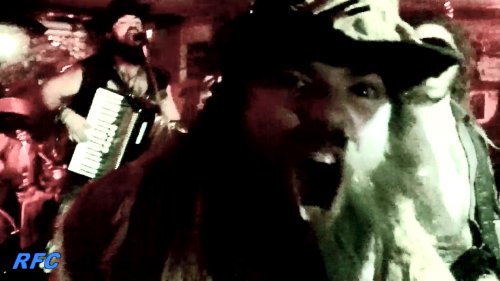 A few weeks ago we were privileged to record San Diego’s “Dread Crew of Oddwood” at The Empty Glass. This band of musical pirates was on a rare East Coast tour, and we grabbed a ton of songs by them. We featured them on RFC 190 and in a special “Talk Like A Pirate Day” video. In this week’s MINI SHOW we’re bringing you two more songs from Oddwood. This is the second RFC MINI SHOW! Rudy Panucci introduces two songs by Zeroking, recorded at the ECMC Kick Cancer benefit show last summer at The Eagles Club on Charleston’s West Side. Zeroking has a new music video for their song, “Dead Rockstar” that you can see as our Sunday Evening Video. On October 18, Zeroking takes the stage with White Chapel District at The Blue Parrot in Charleston. 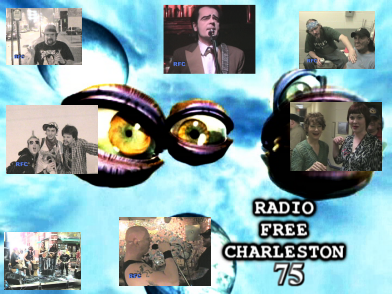 Look for another RFC MINI SHOW tomorrow. 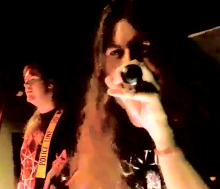 Our featured video tonight is the brand-new music video by RFC 189 guests, Zeroking. “Dead Rock Star” is about exactly what it says in the title. It’s also got some explicit language that is not safe for work or for the ears of the young ‘uns. Be Warned. This clip just debuted online a few days ago. The reason that we’re bringing this to you now is that Zeroking just happens to star in the second edition of the RFC MINI SHOW, the first of two new MINI SHOWs this week, with the Zeroking edpisode coming to PopCult later tonight. 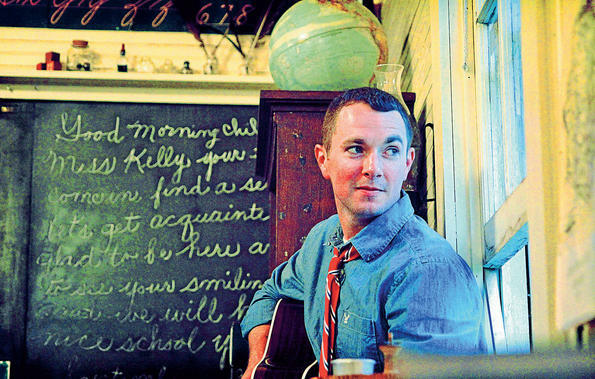 Once and future Radio Free Charleston guest, Jeff Ellis, will be performing at the Gov. Hulett C. Smith Theater at Tamarack (near Beckley) Sunday afternoon at 2 PM as part of their “Sunday@2” concert series. Our buddy, Nick Harrah, did a cool, short interview with Jeff in this week’s Gazz. Jeff will be selling his new CD, “Learning How To Live” at the show. The clip above is his 2010 performance from RFC 100, recorded at The Empty Glass. 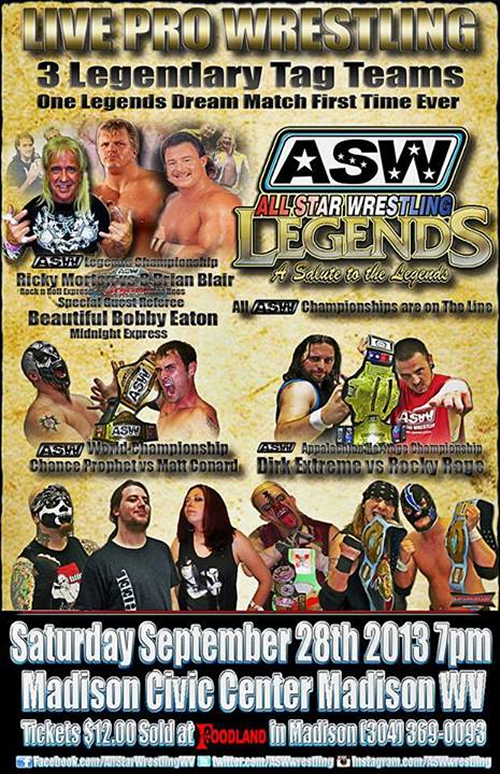 ASW Wrestling is bringing a big show to Madison. Always a fun time for the fans of the squared circle. The big free show tonight sees RFC faves, Sean Richardson and Spencer Elliott at Taylor Books at 7:30 PM. Will Jones will be performing at Crumpeckers in St. Albans at 9 PM with no cover charge. Our Town continues at 8 PM at the WVSU Capitol Center Theater. 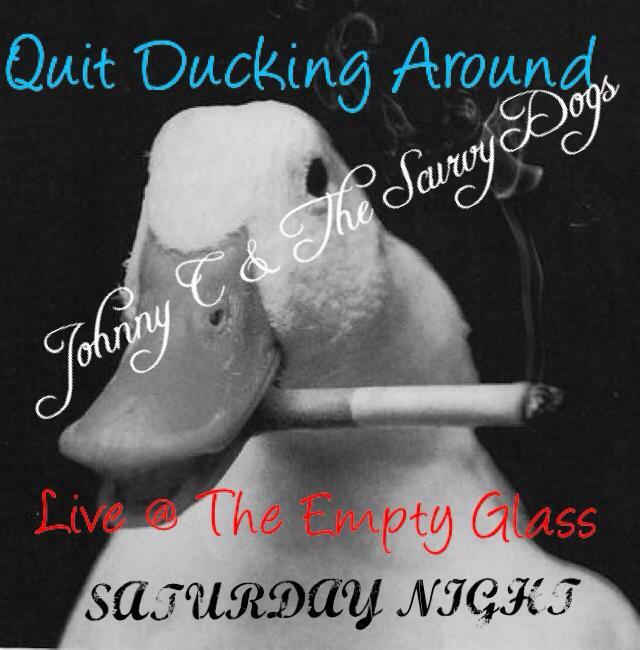 Seven bucks gets you in the door at The Empty Glass for a night of 1980s excess with Johnny C and the Scurvy Dogs. 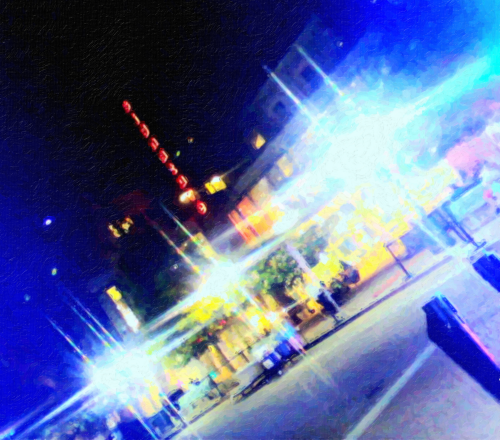 The show starts at 10 PM. Something really annoying to me when putting together these weekend events updates is when a bar or band can’t be bothered to list the cover charge that it takes to get in to their show. With that in mind, the following shows are happening and will cost money: The Vandal Band celbrate the release of their CD, “Hillibilly Paradise” at 9:30 PM, with special guest hip-hop artist, C-Ron, at Sam’s Uptown Cafe. The Greens reunite at 10 Pm at The Boulevard Tavern. Relative Obscurity hits The Monkey Barrel at 10 PM. Someday soon I will probably just not bother listing any show if I can’t find the location, time and cover charge. For the uninformed, “Prog” is short for “progressive rock.” At one time, this was the genre of music hated most vehemently by the entenched he-man rock music critics club. Marked by amazing musicianship, overtones of classical music, long songs about “deep” topics, and in many cases extremely theatrical presentations on stage, this type of music seemed to really irritate the Rolling Stone Magazine crowd who preferred to worship at the altar of The Velvet Underground or Bruce Springsteen. 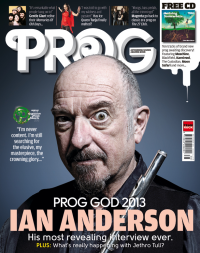 Prog was ridiculed and slagged off, and rarely recognized as the trailblazing musical force that it was.